We are a global Pharma Market Access consultancy, with the core belief in adopting a collaborative approach to Payer engagement. Enabling you to speak to your Payer’s “in their language”. Complete HealthVizion is a global team of fresh thinkers who aspire to be better every day. We create life-changing medical communications through our culture of inspiration, passion, scientific excellence, and team work. Formerly known as Packer Forbes Communications, Four Health Communications is an award-winning, integrated healthcare communications agency for pharma, biotech, NGOs and other healthcare providers. At Weber Shandwick, engagement has always been the cornerstone of health communications.We make health matter. Health is a basic human right, it is personal and emotional. For us, health is the foundation of a better world. Our approach goes beyond disseminating messages; it is about establishing meaningful connections. Accession was a born from a passion and a vision. A passion to harness the power of market access to ensure patients gain access to life changing medicines and devices. A vision to make a positive impact on the success of our clients, the economy and the wider society. W2O Group is an integrated marketing agency with expertise in brand and digital strategy, creative development and communications services. We work with clients to craft their positioning, strategy, and messaging, as well as supporting connection with customers across multiple communication channels. 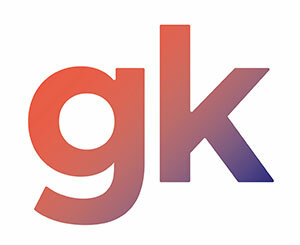 GK is award-winning independent communications agency specialising in delivering impactful strategies for clients across the healthcare market. The Fishawack Group of Companies is one of the largest independent medical communications and medical marketing specialists, with teams in the UK (Knutsford, Oxford, London, and Brighton), the USA (Philadelphia, PA, and San Diego, CA), Switzerland (Basel), and India (Hyderabad). Health Unlimited is a global health consultancy and communications agency built by specialists with unmatched experience, perspective and expertise. For more than 25 years we have been driving results for companies solving the world’s most complex and challenging health issues.